How to use SignalR With The Best, Cheap & Recommended ASP.NET MVC 5 Hosting - ASP.NET SignalR is a communication framework that lets developers create applications that provide real-time information. (The Chat application and the StockTicker app are the most common examples.) SignalR is based on the famous server push or push technology. BestWindowsHostingASP.NET - As soon as any information or updates are available on the server, the information is pushed to the connected clients—which makes the operation appear to take place in real time. 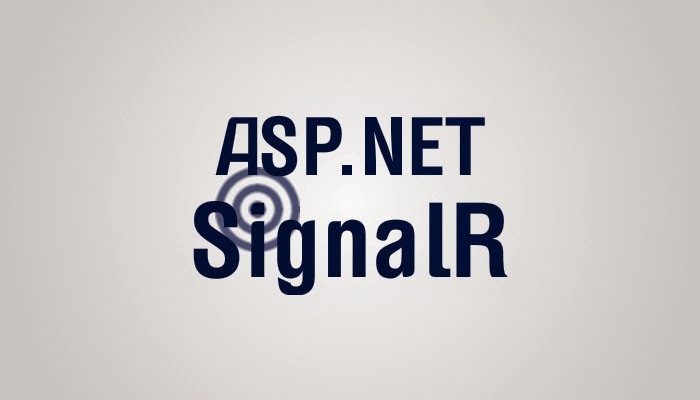 Today, I am going to show you How to use SignalR with ASP.NET MVC 5 Hosting. 3. Writing server side and client side code. Then, you need to use NuGet to install Microsoft.AspNet.SignalR package. You need to configure SignalR routes in application startup. Create a C# class file (the filename and location doesn’t matter but a recommended one is “SignalRStartup.cs” in App_Start folder) with the following code. After using NuGet to install Unity and Asp.Net SingalR packages, one needs to perform the following steps to resolve types for SignalR methods using a Unity container. There are two options to use Unity as dependency resolve in SignalR: one is to replace the whole SignalR dependency resolver; the other option is to only replace the IHubActivator component of the SignalR dependency resolve. It needs to implement two methods (GetService and GetServices) of SingalR IDependcyResolver interface. The second option only needs to implement one method of SingalR IHubActivator interface. Not only the first option has more methods to be implemented, but also it needs future steps to allow type resolve in Hub classes. Therefore we choose to use the second option. First, You must create a class implementing IHubActivator interface. In the class, use a Unity container in the IHub Create (HubDescriptor descriptor) method. Now, you must set SingalR Hub resolver in the Unity configuration file. There is no need to register IHubActivator in Unity as described in the above reference because this interface is only used by SignalR and should be registered only in the SignalR dependency resolver. Finally, register every application Hub class in the Unity configuration file. HostForLIFE.eu has great experience in providing excellent SignalR hosting support for their many happy customers. Whatever your budget, SignalR Hosting with HostForLIFE.eu means reliable hosting. You will enjoy the full support of the experienced HostForLIFE.eu team, 24 hours a day, 7 days a week. Affordable Budget prices, full features, 99.9% Uptime Guarantee, No Risk Money-Back Guarantee - come and see for yourself why everyone is recommending HostForLIFE.eu for SignalR!